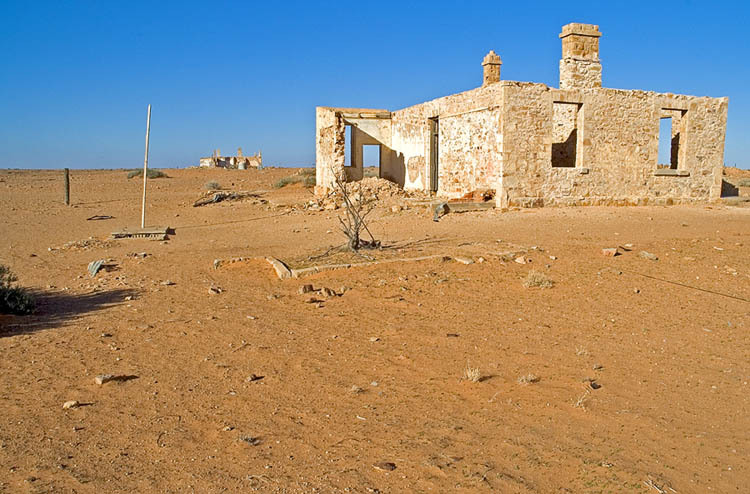 Farina was the railhead of the Old Ghan railway until 1884 when the Ghan reached up to Marree. At the time, people hoped that Farina would become a successful agricultural centre; it’s name, â€œFarinaâ€?, comes from the latin for â€œflourâ€? or â€œmealâ€?. Unfortunately, rainfall isn’t regular or plentiful so Farina never managed to expand to the planned 432 1/4 acre blocks set out within the town. Today Farina is a ghost town. The post-office, of which we see the back here, closed in the 1960s.